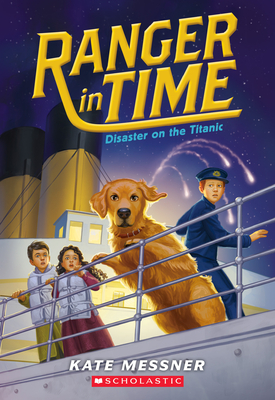 Ranger, the time-traveling golden retriever with search-and-rescue training, finds himself in 1912... on board the Titanic! Everyone says the Titanic is unsinkable, and Patrick Murphy believes this most of all. He grew up near the shipyard where the magnificent ship was built and officially started working there when he turned thirteen. He's even been chosen to be part of the crew during the Titanic's maiden voyage! Ranger meets Patrick before the ship sets sail, and once on board, they befriend Maryam and Hamad. But one night, the ship hits an iceberg and starts to take on water. It's a race against time for Ranger and his friends to help get as many passengers -- including themselves -- off the ship before it's too late.